The utility of the social media platforms in the recruitment exercises by companies and businesses is increasingly becoming very popular. Both job seekers and employers find themselves in the social media and could end up together. This is why you should stay away from the social media mistakes that can ruin your career. The social media is no longer a platform where people come in to have fun and show fun. It is much more than that now. It is now a platform that can make you or mar you depending on what you do there. Employees and job seekers use the social media to their portfolios and accomplishments so that hiring companies can come in and see them. 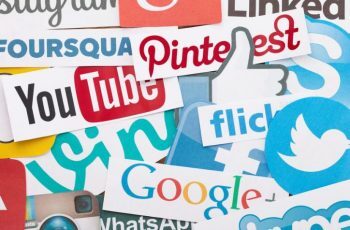 When you look at this Harris Poll survey, you will find out that about 70 percent of employers use the social media in their screening process before the can finally hire the candidate. You see, your activities on the social media do not only affect your job seekers, it also affects those already working. The wrong post could get you fired in this era where the company’s image is paramount. We have looked at certain activities that cumulate to social media mistakes that can ruin your career. It will be in your best interest to avoid them either as job seekers, employees or even as business owners. For the purpose of this work, we shall be looking at “2017 Recruiter Nation Report” on the activities that can make you a wrong candidate for a job. More than 60 percent of the recruiters polled indicated that posting about marijuana use would negatively impact a candidate’s chance of getting the job. More than half of recruiters see political rants as a red flag. Before you post anything online, make sure everything is spelled correctly and you use correct grammar. Forty-eight percent of recruiters say poor spelling and grammar would negatively affect their decision about an applicant. Excessive partying can damage credibility, and recruiters may believe it could negatively affect your performance at work. No one likes a show-off – including recruiters and employers. A little less than 20 percent of recruiters say this is a turn-off. Showing too much skin (16 percent) and a limited social presence (12 percent) are other no-nos. Also, seven percent of recruiters indicated if a candidate posts too many selfies, it would give them pause. While the wrong posts decrease your chances of success, the right posts increase them you can use the social media to impress your would-be employers or your current employers. Remember, this is all about packaging. Everybody is concerned about the image. Jobvite’s survey still places the kind of posts or practices that should be encouraged at the following distribution. Social media is a great place to showcase your work. Sixty-five percent of recruiters surveyed by Jobvite say this would positively influence their opinion of a job candidate. More than 60 percent of recruiters agree it’s a plus when you show volunteer work on social media. 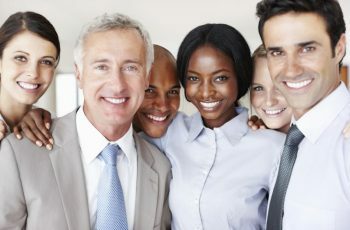 Thirty-five percent of recruiters indicated mutual connections is a positive factor that impacts their decision to move forward with a candidate. In the above social media mistakes that could ruin your career, we were able to draft out verbatim the distribution given by Jobvite’s survey. It may not be absolute but it gives you an idea of what is obtainable out there. You do need to be careful.